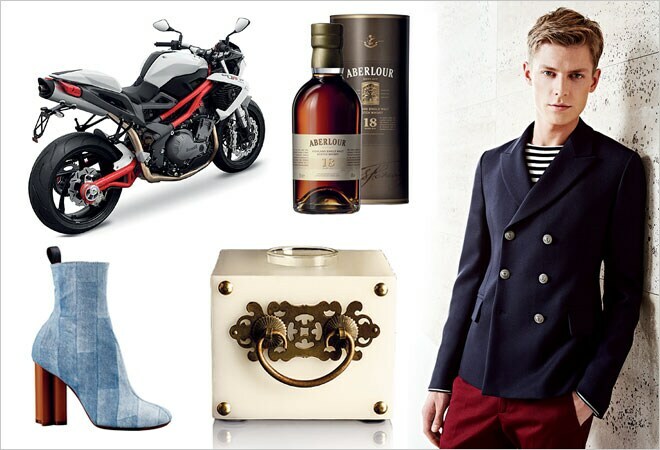 BT More brings you the must haves in fashion and lifestyle, from clothes to accessories to luxury liquor. Electric lights are all well and good, but nothing illuminates your space as romantically as the dear ol' candle. 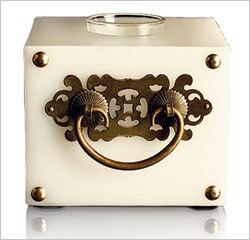 Presenting the Cheshire White Brass Door Knocker Candle; it's just what you need to ensure a great evening. 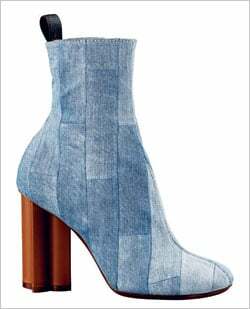 Denim is the most happenning trend this season, and booties are almost a staple for women everywhere. Combine the two and you get these stunning shoes from Louis Vuitton. Perfect in every sense. 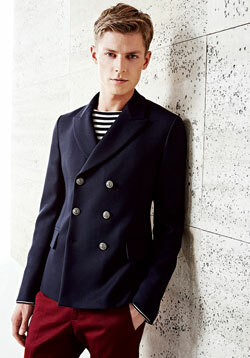 A well-fitted jacket is one piece that men can take from work to an evening out without any trouble. This double-breasted Gucci jacket from the brand's Cruise 2015 collection is an absolute essential. Team it up with formal pants at work and jazz up your look by pairing it up with chinos for a night out with friends. What's in the fag end of teenage, soft and fruity on the nose, and capable of giving you a high to remember? Say hello to the Aberlour 18 Years Old, which will soon be hitting the duty-free stores of Mumbai and Delhi Airport along with its equally exotic cousins - aged 12 and 16 years respectively. 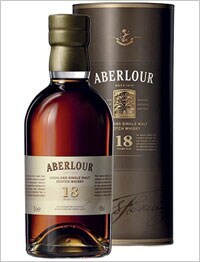 Aberlour is brought to you by the Chivas Brothers. Can't have enough of James Bigglesworth stories? 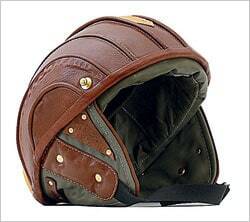 With this truly vintage helmet, V Renaissance gives you a chance to look like your favourite comic book pilot, even if it's just a bike you are flying, not a World War I Sopwith Camel. 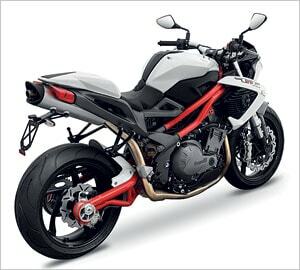 With a face that reminds you of an Autobot and a body that's wrought to perfection in one of the most futuristic workshops in the automobile industry, the Benelli TNT 899 is as tough as it looks. Turn the key and the machine explodes to life. The 899 cc inline three-cylinder DOHC engine with 4 valves per cylinder pumps out 122 PS of peak power at 9500 rpm and 88 Nm of maximum torque at 8,000 rpm. Now, that's a ride to remember.